Newnham Croft Primary School asked us to design a play area. They already had some good ideas about key features they wanted us to include, and through our design process we were able to create a play area that matched their needs and budget. 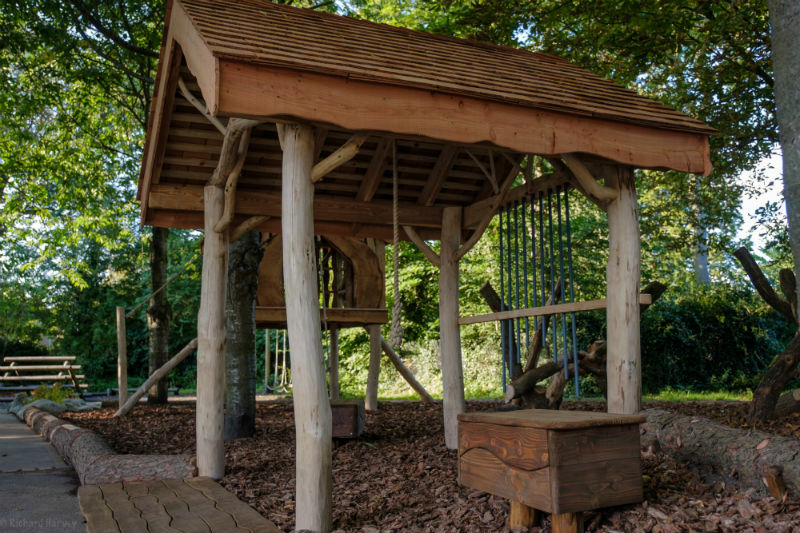 The resulting play area gives the children a feeling of being in a magical woodland village, and it provides physical challenges for pupils of all ages and sizes. At the design meetings, the school was keen to include features that would develop upper body strength, so we incorporated ropes and monkey bars. We also constructed a balance and climbing area using twisting oak logs. Naturally, stability and safety were priorities - so the logs were bolted together and concreted into the ground. For us, the journey from design to build and finally seeing the children running wild through this woodland world was hugely enjoyable. Newnham Croft Primary School, Cambridge.